Re-Bath has manufactured and installed bathtub liners since 1979. Today the company has grown to an international, full-service bathroom remodeling company with more than 200 franchisees and a range of bathroom products that includes everything from shower heads to sink vanities. Re-Bath specializes in quick, efficient and affordable bathroom remodels by skilled designers, craftsmen and installers who create custom home bathrooms every day. Re-Bath was seeking increased positive recognition online, but struggling to find a solution that would work well for both the corporate office and franchisees. Since Divvy was already managing Re-Bath’s collateral materials and print marketing, the Re-Bath team approached Divvy by Alexander’s for a solution. Divvy designed a social media publishing program for Re-Bath’s 200+ franchisees that utilized multichannel marketing strategies to boost SEO and generate leads through online engagement. The Alexander’s marketing team creates content, manages publishing on a handful of social platforms for each franchise, and provides monthly reporting. 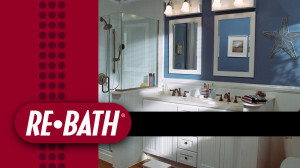 The new program increased web traffic to Re-Bath’s website by 26%. Divvy accomplished this by designing a social media publishing program that allows franchisees to opt-in to automatic social media updates, and offers unlimited access to its social publishing software. They collaborated with corporate executives to establish a single source of corporate-approved content franchisees can access to improve their digital marketing.